It feels like your workforce is trending toward complete mobility, but the ever-decreasing screen size on mobile PCs can create inefficiencies, raise healthcare costs, and drain productivity. 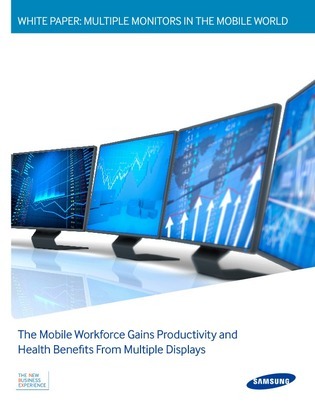 This white paper takes looks at how businesses and organizations are benefiting from investing in desktop displays in an increasingly mobile world. Learn how to design an ergonomic office that will benefit your employees and your bottom line.